It’s the battle of the bubble baths! Well, not really. I absolutely love both of these products and it would be impossible for me to choose a favourite, so it’s more like a joint review. I even collected all of my bath product posts under one handy tab, so click here to see what I’ve been loving! 1. The stores are usually quite small and they always seem to be absolutely packed, which makes it a nightmare to move around. 2. Being stuck in small crowded spaces makes it easier for the sales attendants to pounce on me, resulting in like 8 people asking me if I need help finding anything oh and by the way we have this new product here which I’m going to make you try out because you have no place to run. Anyway, I popped into Lush to pick up a Christmas present for Emily and came out with 3 other things, wheeeeeeee. 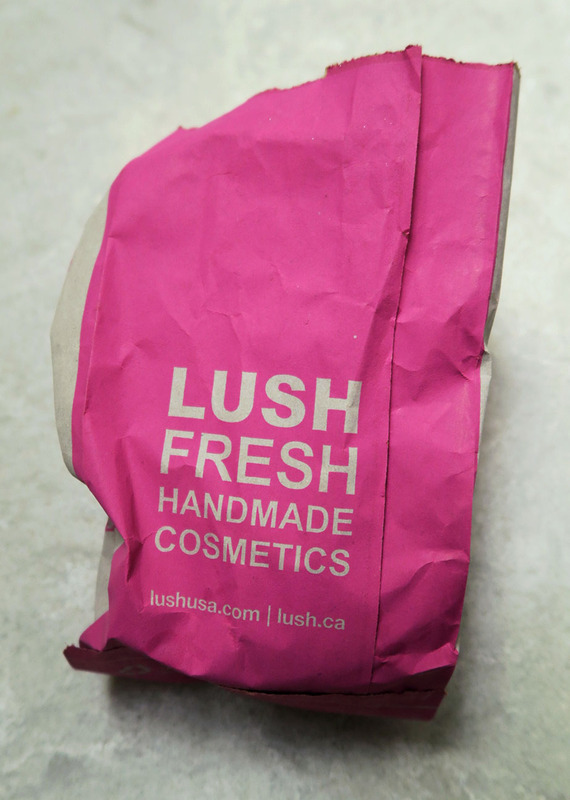 These are the bubble bar products, so I figured that I would group these two reviews together. Before I get started, I just wanted to point out their new bags – the bright pink colour is so cute! I’m in loooove. The first is the Milky Bath bubble bar. It’s a white bar with a glittery “bottlecap”. 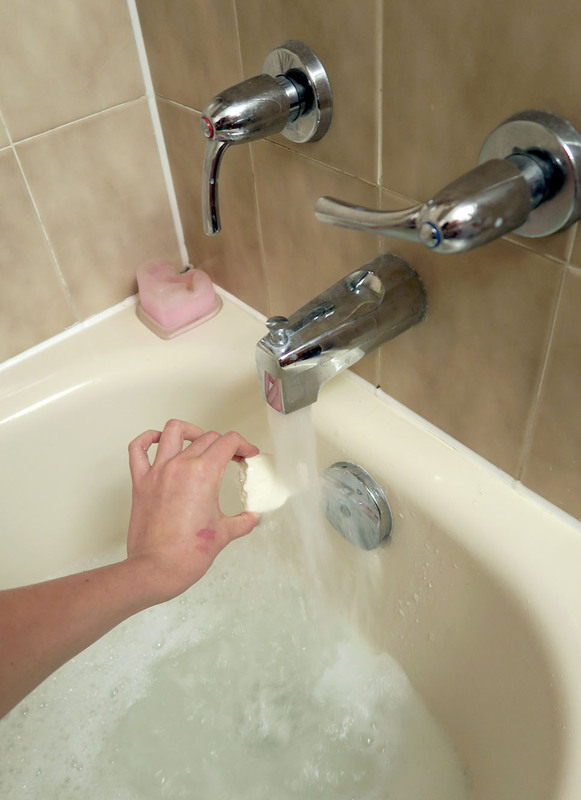 Don’t cry over spilled milk – bathe in it! This comforting milk bottle bubbler is filled with moisturizing cocoa butter, skimmed milk and olive oil for supremely soft skin, and the delicate scent of orange oil to soothe your mind and let your troubles float away. The smell is super comforting, and smells like a mixture of vanilla and coconut. It does not colour the water, but it does create a lovely swath of bubbles. I used half a bar the first time which I found to be a little too much – a quarter of the bar does a great job by itself! And for $7.95 a pop, you’ll probably want to stretch out the use as much as possible. Simply break off a piece and crumble it under running water! 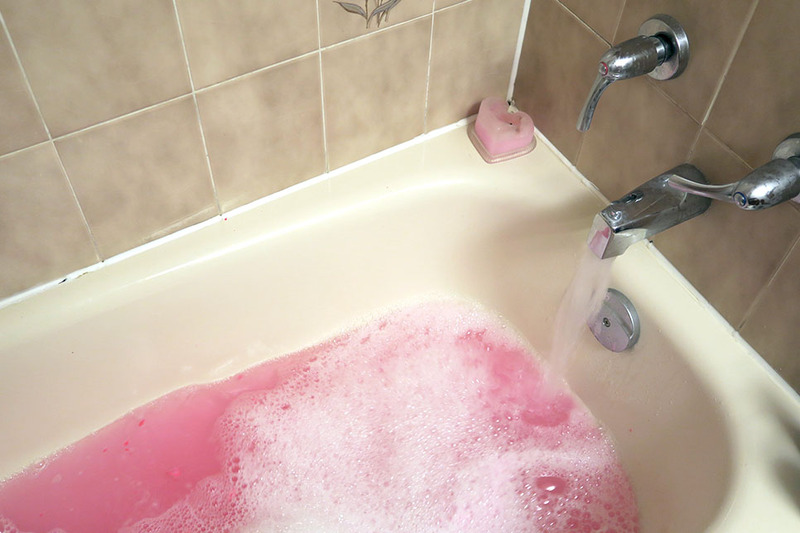 This is one of my all-time favourite lush bath products. You guys know I absolutely love my rose-scented products, and the rosejam bubbleroon is definitely up there. Lush recently reformulated their bubbleroons. 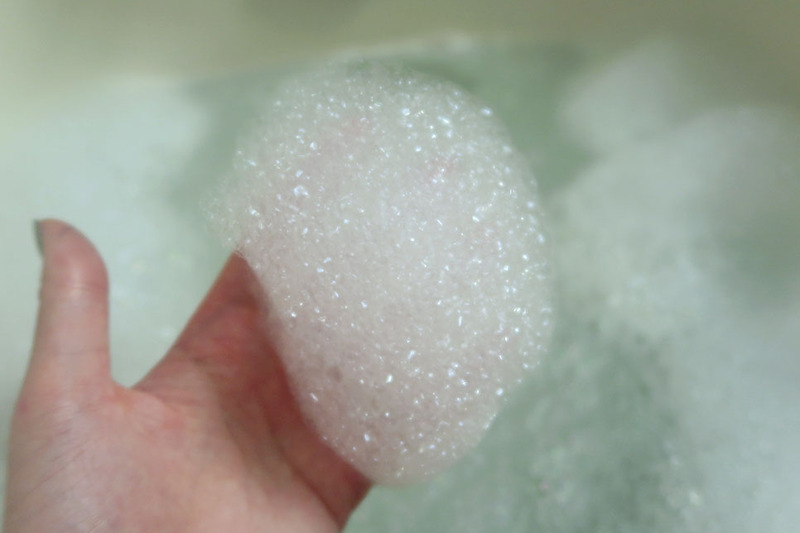 Compared to the previous bubbleroons, these ones seem to be bigger (almost double in size), and produce more bubbles. I remember I had to use half a bubbleroon for a decent amount of bubbles, and now I only have to use a quarter! Inspired by delicious, handmade macarons, our Rose Jam Bubbleroon features our intoxicating rose perfume. It’s based on a decadent traditional Turkish recipe for rose jam that our Turkish rose absolute supplier shares with us every year. Rose oil and rose absolute not only smell amazing but they’re also fantastic for soothing dry, sensitive skin. 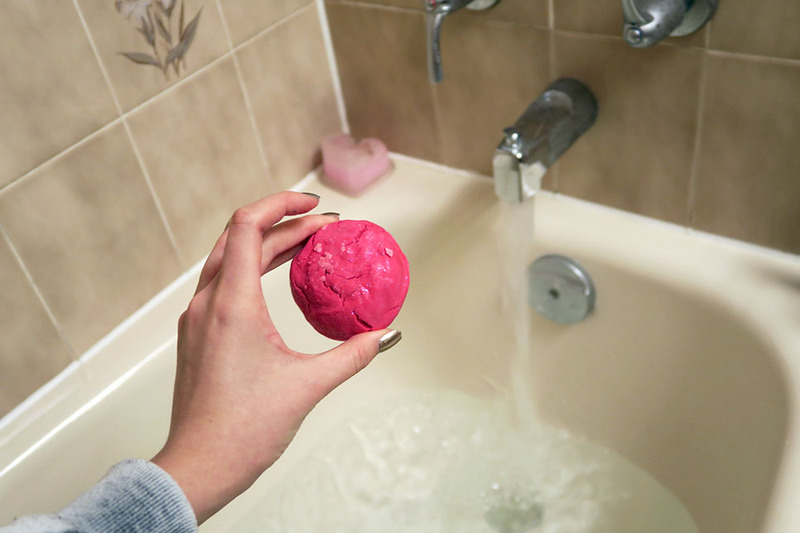 The rosy fragrance paired with the reamy icing that sticks the two halves of this bubbleroon together make for a majorly moisturizing, softening and luxurious soak. I used half a bubbleroon this time, which I think was way too much! The scent was absolutely lovely but it made the bath way too soapy. Half of half is all you need. It’s more vibrant in colour than the previous rose bubbleroon. All in all, both products are two of my favourites! 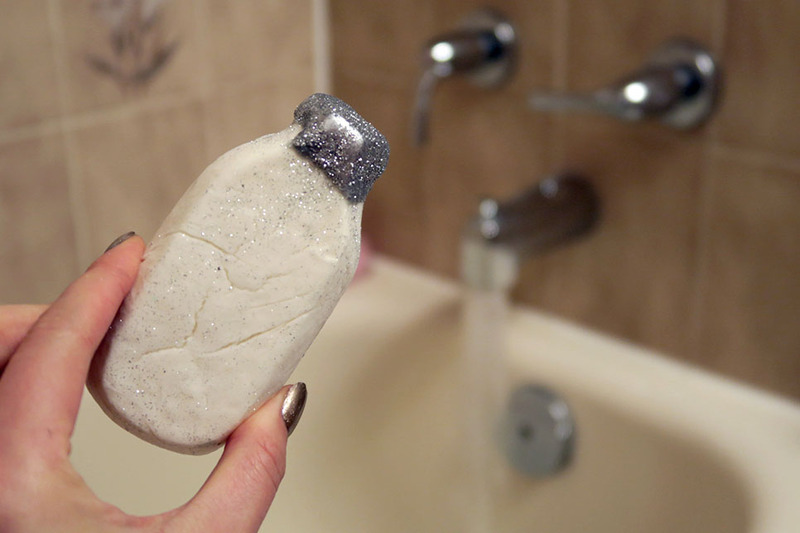 I love how they have multiple uses, unlike bath bombs which are typically one-time uses.